The weather is starting to warm up and the spring peepers are singing. There are going to be a lot of things to do out in the garden here soon. Here are just a few things to consider doing. Don't be in too big of a hurry to clean up the garden. Many pollinators and other beneficial insects (predators, like ladybugs and syrphid flies as well as parasitoid wasps) are overwintering in plant debris such as hollow plant stems and fallen leaves. 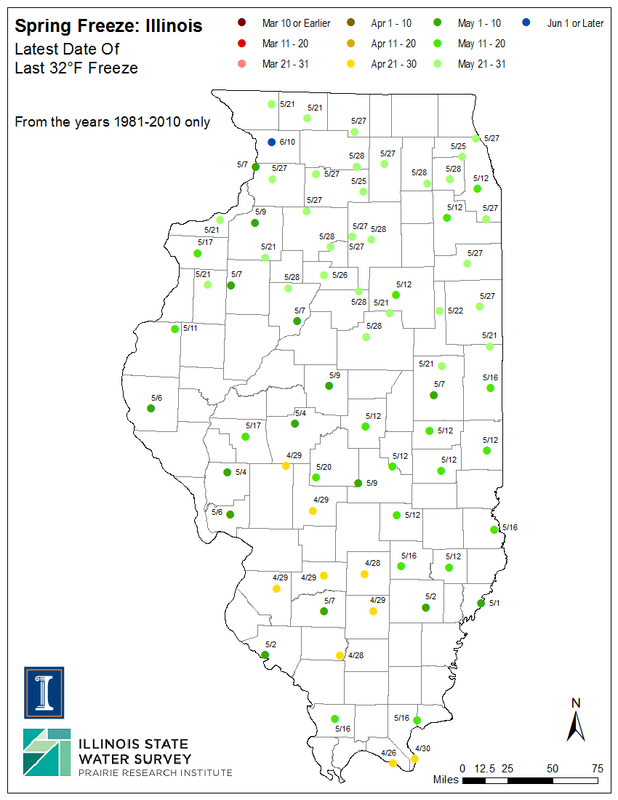 Ideally, you would wait to do any cleanup until temperatures are reliably in the 50s. If you can't wait that long, when cutting down old plant stalks carefully place them in piles out of the way so any insects that may be inside can still emerge and if possible leave some areas with fallen leaves undisturbed until it gets warm. With all of the wet weather we've had recently don't be in a hurry to start working your soil, let it dry out first. Tilling or digging in wet soil will compact the soil and destroy the soil structure. Before working the soil take a handful and squeeze it. If it crumbles it's ready to work. If it forms a ball it's still too wet work with, so wait for a few days and test again. Don't be in too big of a hurry to get things in the ground. If you do put plants in the ground, particularly plants that aren't very cold hardy, be prepared for late frosts. 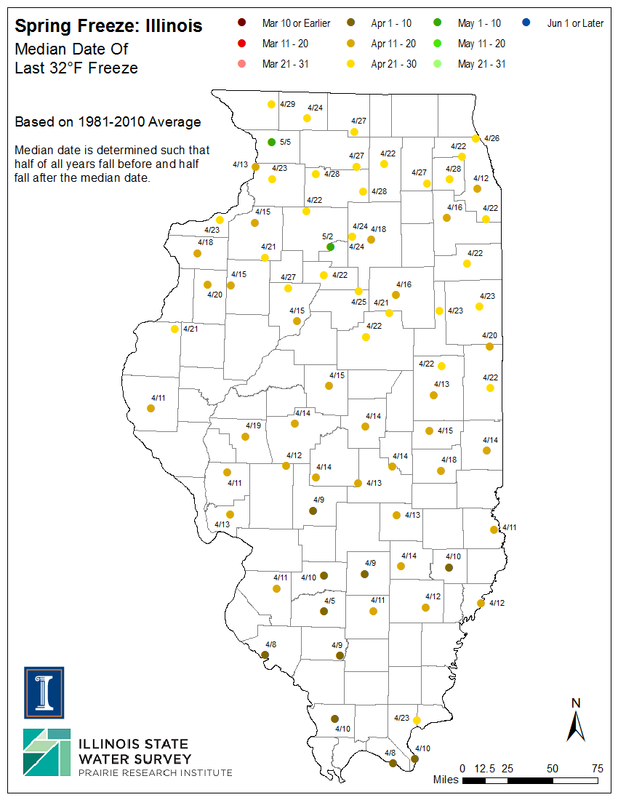 The median last frost date for this part of the state (central Illinois) is April 15 (that still means there's a chance there will still be a frost, the frost-free date is mid-May). Tender plants can be covered with row covers, blankets, or even a cardboard box. This will help trap some of the heat in the ground and help keep the plants from getting too cold. When shopping for plants, make sure the plants you're buying are healthy, you don't want to be bringing problems into your garden. Plants should be green and healthy looking. Plants that have yellowing or browning leaves or stems should be avoided. Take a moment and check out the roots of the plants as well. The roots should be white and numerous. Also, look for any insect pests such as aphids, whiteflies, and scale. If you find any, avoid those plants. If you are growing your own transplants, make sure you harden them off before putting them in the ground. Gradually introduce them to the outdoors over a seven to ten day period. By doing this your plants will get acclimated to their new environment and you'll have more success transplanting them. Ornamental grasses and most perennials can also be divided in the spring (some fleshy rooted perennials such as poppy, peony, and iris are best divided in the late summer to very early fall). Ornamental grasses should be divided if the center of the plant had died out (looks like a doughnut) or they have gotten too big. Perennials can be lifted out of the ground and broken into sections (the bigger the section, the quicker they will reestablish). Discard any dead or diseased area of the plants. 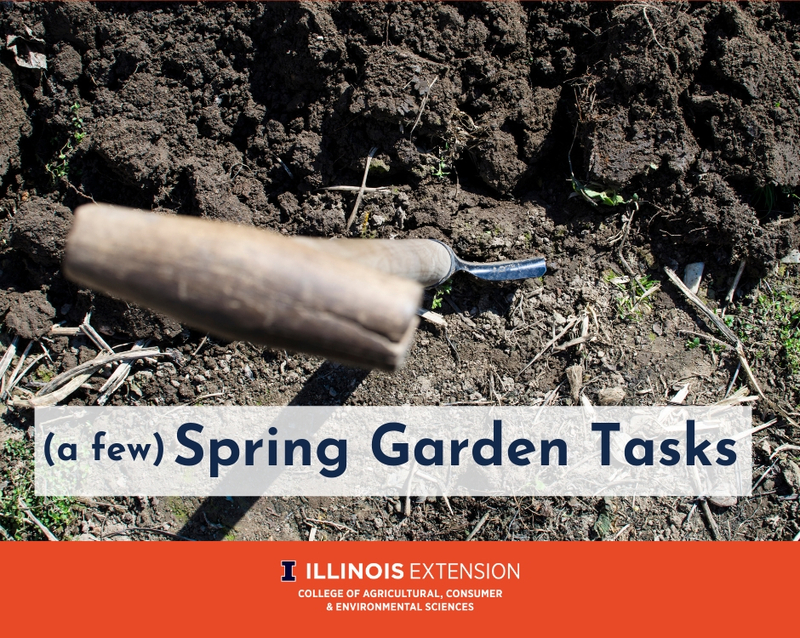 These are just a few things that you can do to get your garden off to a good start this year. Good Growing tip of the week: Cut back the foliage of ornamental grasses to about 4-6 inches in the spring before growth resumes. When foliage is removed, spring growth will begin earlier. Old foliage left on the plant can delay the crown's warming and subsequent growth by as much as 3 weeks.